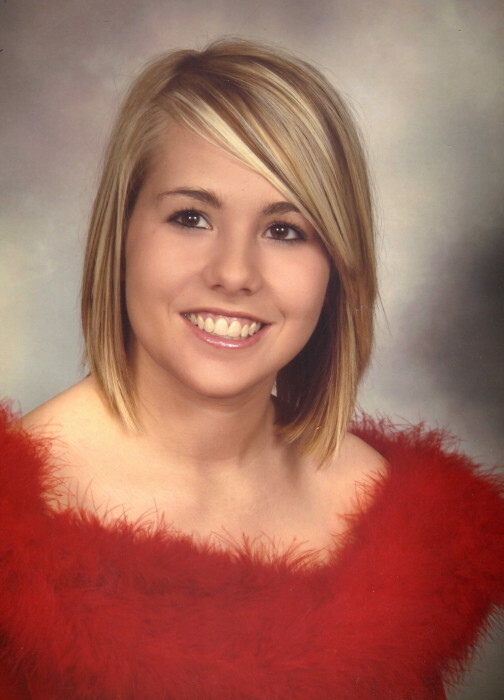 Paige Lane Gomer was born on October 12, 1990 in Chickasha, OK to Mark Lloyd and Lisa Gayle (Cross) Gomer. She passed away on March 21, 2019 at the age of 28. Paige graduated from Hinton High School in 2009. Her class was the first State Champions in Cheerleading in Hinton. She was very active in school participating in cheer in junior high and high school, and played softball during the summer. She had a beautiful voice and loved to sing. Paige worked for Ronnie and Sherri Wheeler for some time, and later worked in the oilfield business. She became a mother to Marki Lane in 2017, and was a loving, passionate mother. Paige was always spirited, full of determination, protective of her loved ones, and always a great listener. She had such a happy go-lucky attitude, loved to meet new people, her friendships were a fundamental part of her outlook on life. She will missed by all those who loved her so very much. She was preceded in death by her father, Mark Lloyd Gomer, and her grandmother, Shirley Gomer. Survivors Include: her daughter, Marki Lane Gomer of Weatherford, OK, her mother, Lisa Gomer of Weatherford, OK, her brother, Austin Gomer and wife Mackenzy of Hinton, OK, and her sister, Michele Okerland and husband Jacob of Victoria, MN, her grandparents, Judy Hobza and husband Buster of Kingfisher, OK, and Leo Cross and wife Lisa of Thomas, OK, her uncle, Corey Cross and wife Shelbi of Weatherford, OK, her aunt, Terri Cox and husband Hans and their daughter McKenna of Yukon, OK, her aunt, Connor Cross of Weatherford, OK, her other grandmother, Elsie Lessig of Chickasha, OK, her great aunt, Marie Hankins of Wichita, KS, numerous, aunts, uncles, cousins, other relatives, and friends. Services under the direction of Turner Funeral Home, Hinton, Oklahoma. Condolences may be sent to the family at turnerfuneralhomes@gmail.com, or you can find us on facebook.com (Turner Funeral Homes).